Hi Wendy this is pure perfection love your choice of image the dimension you have achieved looks ACE, superb card. 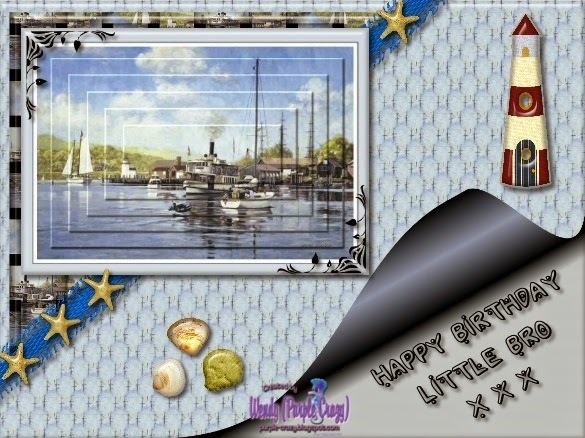 A beautiful card wendy, I do love the boat on the lake theme of this one. Your brother with luv your card, just perfect for a man. Love the nautical theme to your card. Thanks for joining us at The Male Room. Gorgeous card, I love the colors! Thanks for joining us at Crafty Calender this month!